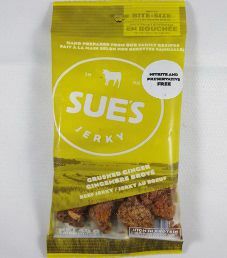 The next review for Sue’s Jerky will focus on a 1.4 ounce/40 gram bag of their sweet sesame flavoured pork jerky. 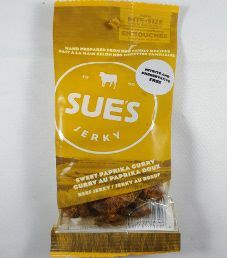 This flavour is described as having honey and sesame oil to create a sweet and savoury balance. 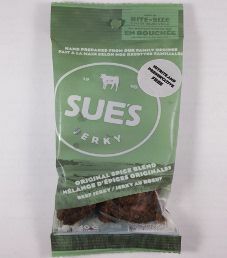 The jerky was kindly submitted for review by the business development manager, Ivan Yuen. 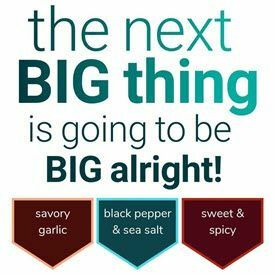 with a refreshing kick. 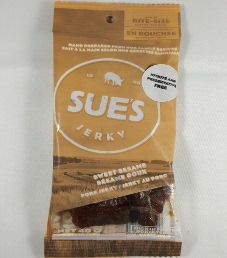 The jerky was kindly submitted for review by the business development manager, Ivan Yuen.